Standard Air, Plumbing & Insulation offers full-fledged plumbing, heating, and AC solutions to residences throughout the local area. Things just don't get any worse than having to withstand a scorching summer or chilly winter without the proper heating and air conditioning at home. When you're forced to deal with a similar issue, call on us for expert heating and AC repairs in Birmingham, Mountain Brook, Vestavia Hills, and beyond. Our family owned and locally operated company has set and maintained the standard for excellence in our industry since 1939, and has been recognized as a trusted name for all things plumbing, heating, air conditioning, indoor air quality, insulation, and generators. Backed by over 75 years of experience, we have seen it all and done it all while evolving with changes in the industry. 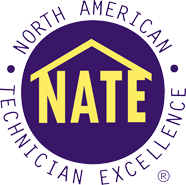 Our highly trained, skilled, and NATE Certified technicians are well-equipped to fulfill your every need at home or place of work, whether you have clogged drains or sewers, a faulty heating or air conditioning system, improper insulation, or poor indoor air quality. When your system needs a replacement or repair, we're prepared to carry out a thorough analysis of the equipment and provide effective solutions for getting rid of the issues. Rest assured that your comfort is safe with Standard Air, Plumbing & Insulation! At Standard Air, Plumbing & Insulation, we take pride in the way we treat our customers. It is truly our goal to exceed expectations every time. To ensure of that, we always show up on time, provide detailed explanations of what to expect, and leave your home or office in better shape than when we arrived (almost like we were never there)! Our courteous and reliable technicians will be there for you when you have an urgent service request or it's time for a routine maintenance check. are what matter to us most. Call on Standard Air, Plumbing & Insulation! Standard Heating & Air Conditioning Co., Inc.